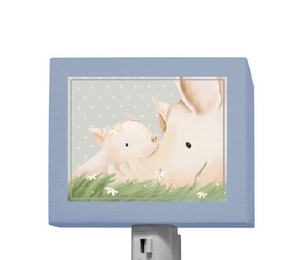 Two adorable pigs nuzzle together in this cute nightlight for children. Something as simple as a comforting light with a cheerful image eases the worry of what's under the bed, and our mini stretched canvas night light accomplishes this job beautifully. 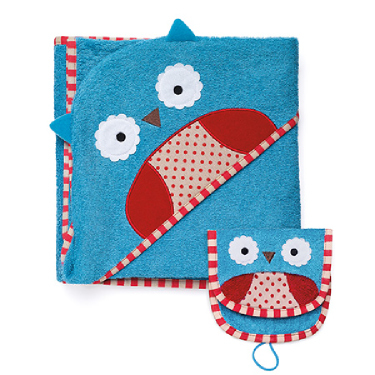 Just like our kids wall art, these little works of art allow you to re-purpose them. 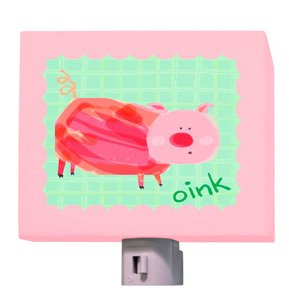 Once your child outgrows the 'monsters', unscrew the base of the night light and place the canvas wrapped frame on a shelf. VoilÃ , an instant art piece!